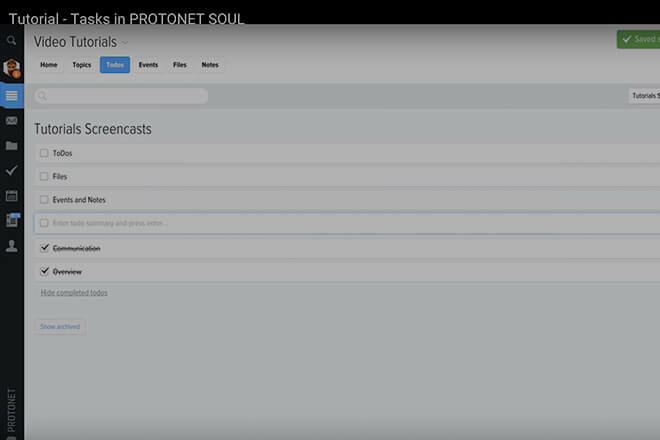 General overview of the SOUL project management and collaboration solution. 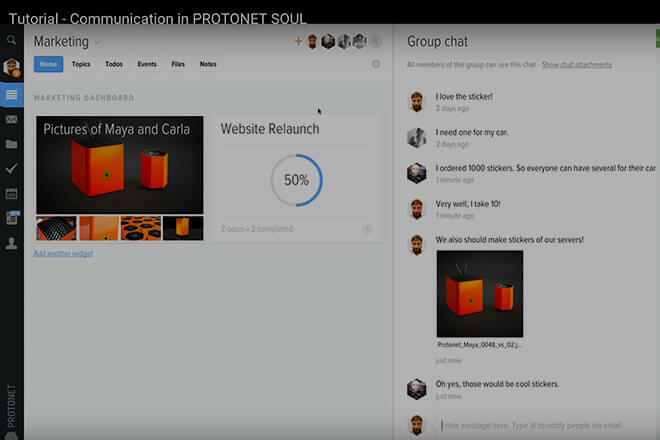 Detailed view of how to efficiently communicate with multiple groups. 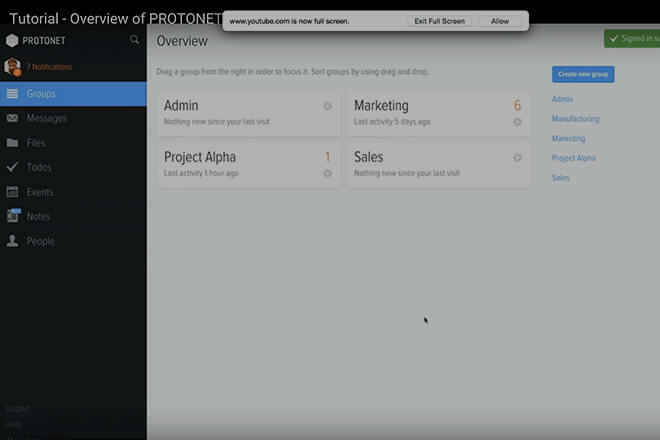 Detailed view on how to create and manage tasks for yourself and to assign to others. 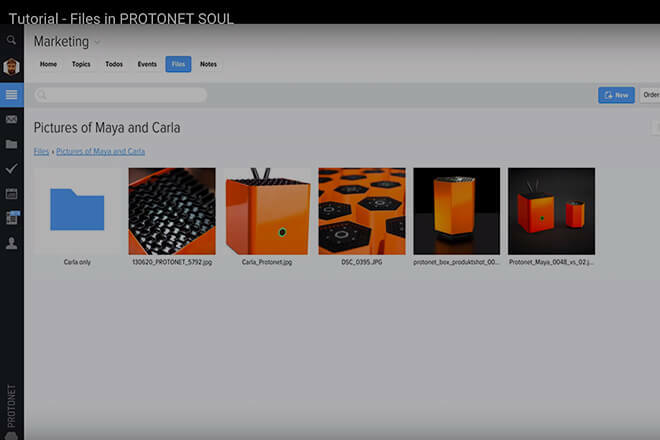 Detailed view on how to store files privately and how to share files with the group. 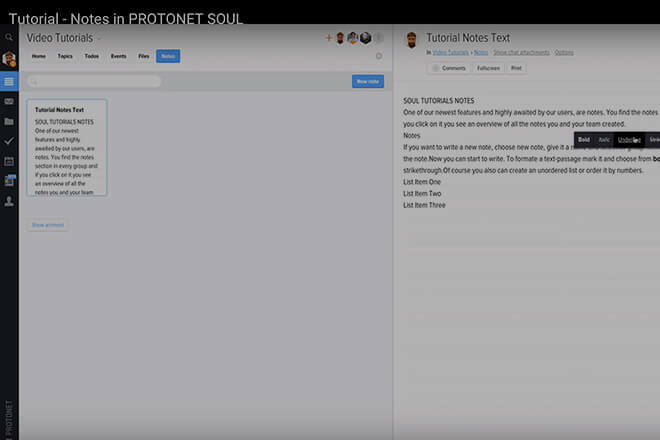 Detailed view on how to create and edit notes for private use or share them with the group. 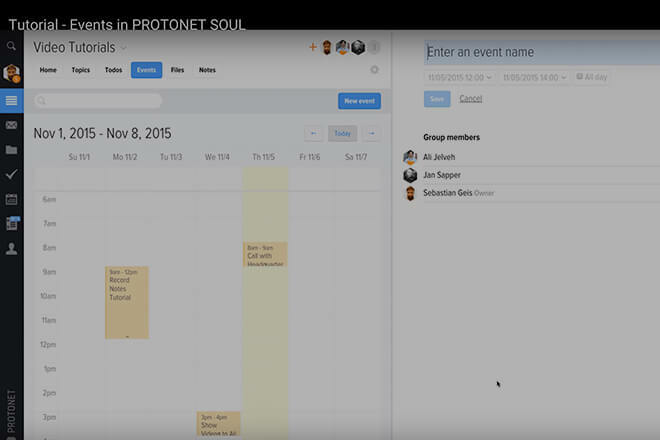 Detailed view on how to view, create, and edit events on your calendar.